The simplest way to view an old campaign is via search! In your Campaigns page, look to the right of the page. You will see a search field that says Search mailings. Click in the search field, and type your keywords. 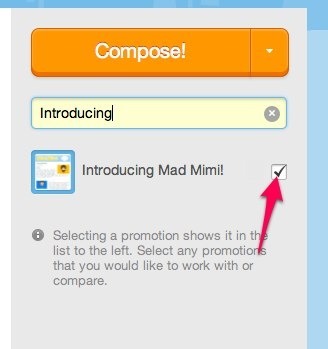 GoDaddy Email Marketing will automatically start to search your campaigns for that word or phrase. When you see the campaign you want to view, just tick the check box next to the thumbnail and title, in the sidebar. The campaign will appear in your large, center area of your Campaigns page. 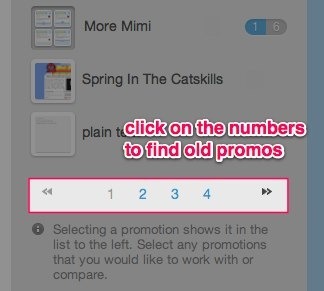 You can also browse all your pages of campaigns, using the numbers and arrows at the bottom of the right sidebar. Once you find the campaign you are looking for, just tick that checkbox next to it, to see it in your main Campaigns page view.